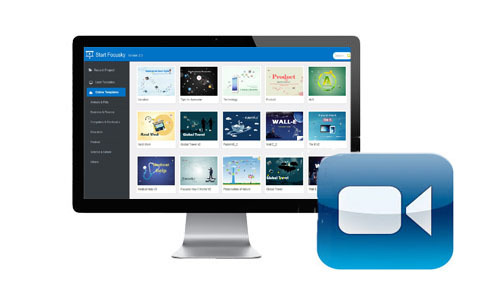 Focusky is a free video presentation maker that will help you to facilitate your work. By using Focusky, you can easily convert your PPTs or PDFs into animated video presentations, or use the pre-designed templates to create a new presentation that amaze your audience. As you know, email subscription has become a widely-accepted way for marketing strategy, so it is very important for the entrepreneurs to increase their email subscribes or you can say followers. More e-mail subscribers means more potential customers and orders. Compared with static passages, most subscribers will tend to watch animated videos to get the information they need. Focusky is such a free video presentation maker that helps you create stunning video presentations and host your presentations on the cloud. What's better, you can share your stunning videos on social networks or upload to popular video websites. The more appealing your presentation is, the more likely viewers will be interested in and subscribe to you. 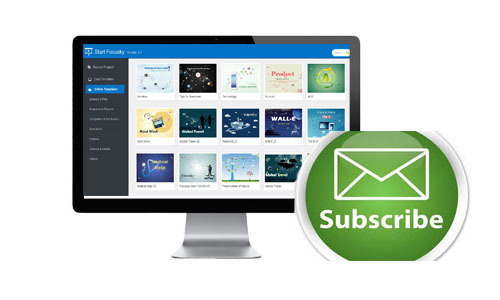 You can arrange the order of your edited files in the showcase, so that your subscribers will become focus on the contents you want to deliver without distracting by other unimportant information, which not only strengthens the promoting effect you want to achieve but also saves your subscribers time. It is a win-win choice. Besides that, you can add the files or delete the files whenever you plan to change your marketing focus. 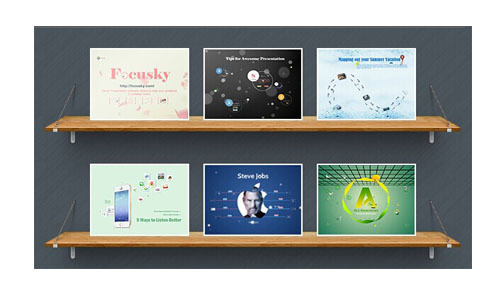 It is very easy for you to edit your files in Focusky. Firstly, you can choose your favorite templates and themes to create the whole atmosphere of your presentation. Secondly, animation editing is available. In other words, your digital contents will be enriched by adding images, videos, links, flash and so on. Of course, you can also set the transition effects to polish your presentation. Last but not the least, your PowerPoint can be published in video format instead of the static document. There is no doubt that it is simpler way to get the same information than reading the dull PPTs. Your followers can be managed on your homepages, which means that you can get the exact information of your target customers. Once you have a good command of your customers, you can adjust your marketing strategy to your target customers and get a larger share in the market among your peers. The among of your subscribers will increase as well.